For the last three and a half weeks I have been working out in Perth, Western Australia as part of a research team based at Murdoch University. The team is led by Professor Rhonda Marriott, Professor of Aboriginal Health and Wellbeing at the Kulbardi Centre, Murdoch University. The visit is by invitation and has been funded by the Western Australia Health Department, Murdoch University and the Telethon Kids Institute, Perth. 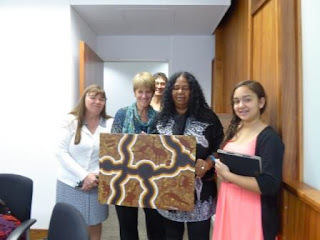 Professor Sally Kendall at a "welcome to the country"
The purpose of my visit has been to engage in research that will contribute to the health and wellbeing of Aboriginal women and children in Western Australia. 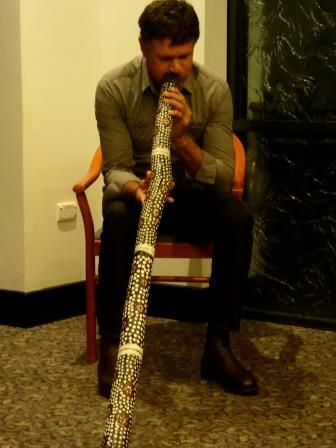 'Closing the Gap' is the policy of Australian government to make a difference to the wide health inequalities that exist between Aboriginal and non-Aboriginal communities. For example, babies born to Indigenous women in Western Australia were more than twice as likely to be of low birthweight (LBW) than were those born to all women in the region (13.6% compared with 6.1%, Australian Indigenous HealthInfonet). 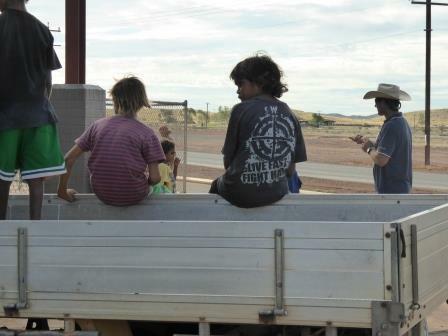 Fetal Alcohol Spectrum Disorder (FASD) is reported to have a prevalence of 27.6 per 10,000 among Aboriginal communities in Western Australia compared with 1.8 per 10,000 in the general population (Bower et al, 2000). 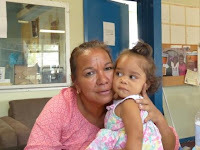 Among Indigenous people living in Western Australia, almost two-thirds (65%) reported having experienced low to moderate levels of psychological distress, and 33% reported high to very high levels of psychological distress in the previous 12 months [Australian Institute of Health and Welfare, 2013]. Indigenous people in Western Australia experienced high to very high levels of psychological distress at almost three times the rate reported by non-Indigenous people. The research team consists of Professor Rhonda Marriott and a multi-disciplinary group of midwives, nurses, social scientists, epidemiologists, anthropologists, a paediatrician and community development workers. Rhonda is unique as an indigenous nurse and midwife with a Professorial university appointment. 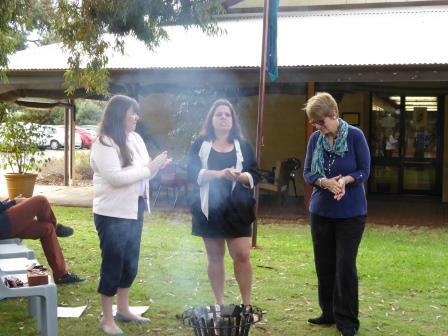 Some team members are themselves Aboriginal and/or have worked with Aboriginal communities for many years. My role in the team is as a UK Professor with a background in child public health and health visiting, and a research track record in parenting and community health nursing. Whilst here I have presented at numerous events and conferences and disseminated and discussed many aspects of my research and comparative health services. Significantly for me, during the visit I was able to reach a better understanding of the Aboriginal health issues in the context of the Australian health care system and the budget that was being announced whilst I have been here. It is at first an overwhelming issue that can only be partially appreciated during a short stay. 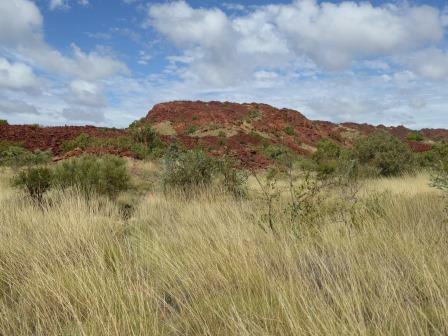 But by being with the research team and going out to the outback area of the Pilbara in Western Australia I feel I have reached a better understanding of what it means to be an Aboriginal person in Australia today. One of the areas I visited is Roebourne, a small community in the mining country of the Pilbara. Mining of iron ore is huge business in Western Australia - it has made Perth into the most expensive Australian city to live in and widened the gap between rich and poor. 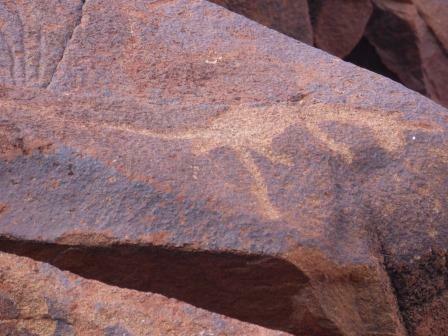 The mining companies have historically claimed Aboriginal land and people have been displaced and abused in the development of the industry. 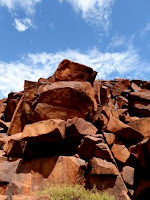 Roebourne itself was established in 1866 on the Harding River and is characterised by surrounding red rock and bush, a river that was full when I visited due to exceptional rainfall, low-rise poor housing, a medical centre, one main shop, a post-office, a cafe and several smaller outlets. There are several local government (Shire) offices and community buildings and also a school. It has its own radio station. 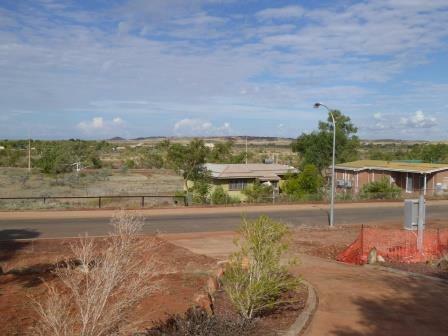 The population is almost 100% Aboriginal, apart from some non-indigenous community workers and a small minority of residents. My time there was spent with the women in 'yarning circles' - this is a way to discuss women's business through story telling or 'yarning'. It is not appropriate for men to be part of this and is often led by the female elders of the community. 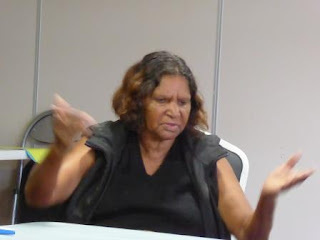 What is apparent throughout meetings with Aboriginal women is that whilst a 150 year history of displacement, abuse, genocide, removal of children and extreme marginalisation has left a deep intergenerational trauma, there is a strong sense of cultural identity, of family and community and of the need to pass on the stories, language and the culture to the next generation. Many of the women of Roebourne are from the Yindjibarndi language group, descended from their ancestors who belonged to the country in the Fortescue River area and were reserved into Roebourne by the white sheep farm and mine owners in the 1930s. They keep their history and culture alive through art, song, stories and careful preservation of cultural knowledge from elders to the next generation. The women spoke of their concerns for their children and their 'grannies' (grandchildren) and extended families in relation to the problems of alcohol, early pregnancy and problems after childbirth. 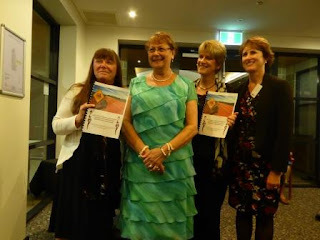 There is a great strength within the older women of the community that they want to use productively to improve the health and wellbeing of their community. One elder spoke of the need for more TLC (tender, loving care) within the community, caring for each other more and role modelling this for their children. Another woman struggled to understand why she was able to do well but her sister is not, why me but not her? The research team was there to work with them, to identify issues that were of concern and to support strategies that could be evaluated. However, one of the challenges is that there are quite literally hundreds of programmes available to 'help' Aboriginal communities, from many different funding sources often with competing aims. The women are rightly frustrated with having so many programmes and meetings but not seeing direct effects or improvements. It is then a real challenge to researchers not to be just another programme, but to be able to achieve something that has meaning and impact. The Triple WRAP research project aims to support parenting and early motherhood through Participatory Action Research. One outcome of this will be a DVD that invites women to talk about what mothering means for them in Roebourne - what is the experience of being a Mum? The methodology is based on the history of yarning and will therefore be of value in passing the positive experiences of motherhood to the young women of the town but also to highlight the challenges they face and to consider local strategies to address these. Another project is concerned with how grandmothers can give greater support to young mums. With such projects comes a need for good evaluation and part of my contribution is to discuss how the team can use outcome measures such as the Tool to measure Parenting Self Efficacy (TOPSE, Kendall and Bloomfield, 2005 www.topse.org.uk). We will be looking at how this measure developed in the UK could be 'translated' into a style and format that would be acceptable to Aboriginal women. The approaches that necessarily need to be used among the communities do present a challenge to the typical white, educated UK researcher. Yarning circles do not feel like research in the traditional sense, or even like a focus group as there is little moderation or guidance. There is a sense of a lack of hard data to go back and analyse, and a feeling of underachievement or of having disappointed the women. This requires a change in oneself, to think differently about what research means for these women and what it could potentially lead to that might eventually make a difference to the health gap. Whilst I was there we were informed that we had been successful in a major research grant from the National Health and Medical Research Council in Australia, for just under $1m. I am excited to be an associate applicant on the grant, the purpose of which is to explore and promote cultural security for Aboriginal women during pregnancy, childbirth and early parenthood. There are 14 partners on the grant and I feel proud that University of Hertfordshire is one of them. It also means that I will be a 'Boomerang researcher' for the next four years, returning to Western Australia annually to develop the research tools and methods and to hopefully make my small contribution to improving the health and wellbeing of Aboriginal women and children.